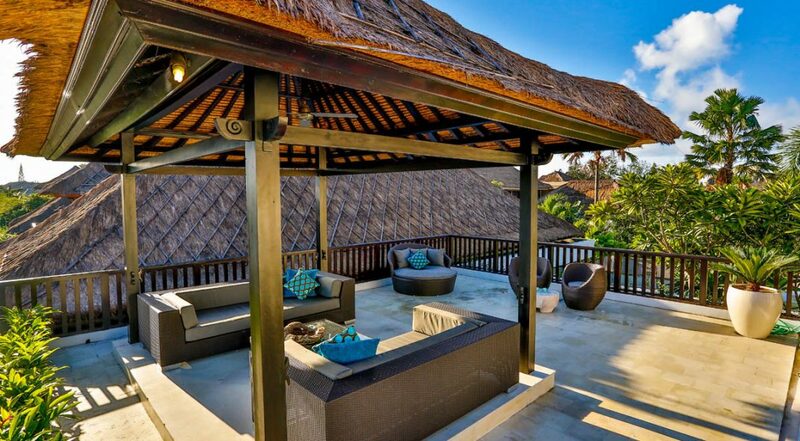 From $ 458 $ 389AUD per night We have direct contracts with most villa owners. We don't add any booking fees. We are 100% transparent with no nasty surprises. 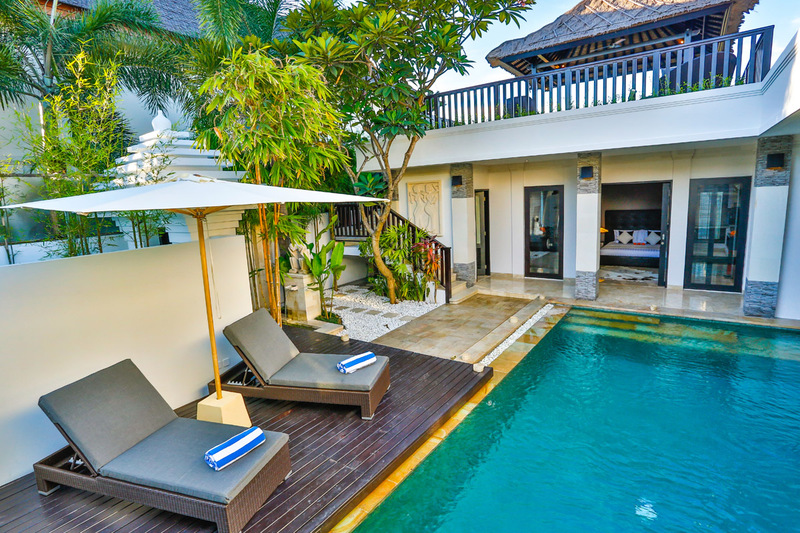 Villa Amala is a 3 bedroom Seminyak holiday villa rental & is located in the securely gated confines of “The Residence” private villa estate, right in the heart of Seminyak. 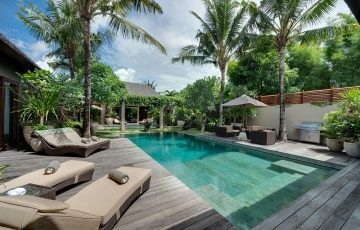 Villa Amala with its private pool offers modern and spacious living areas and three beautifully appointed en-suite bedrooms. This strategic location allows guests to easily walk to Jalan Oberoi where you will find yourself at the iconic Ultimo restaurant. 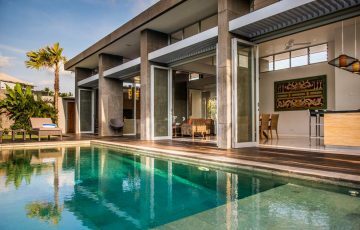 From here it’s just a short walk to the beach at Ku de ta & Potato Head, making Villa Amala the perfect choice for a family or group looking to enjoy all that Seminyak has to offer. 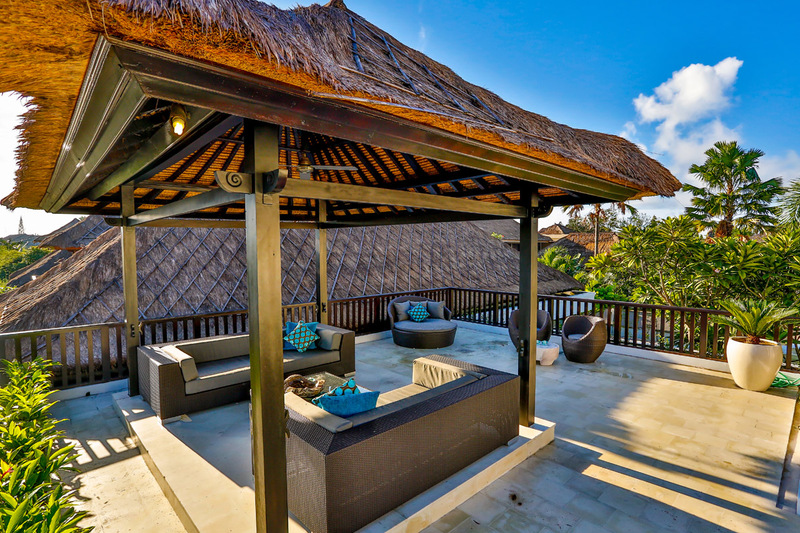 One of the best things about Villa Amala is that once you’re through the villas front gate its absolutely private and so peaceful. 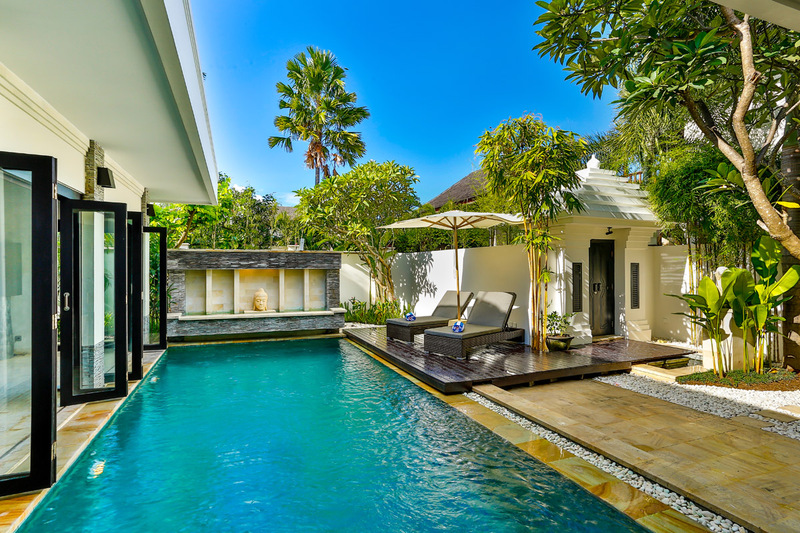 A perfectly laid out tropical garden surrounds the perimeter walls and sparkling pool, at one side a timber decking houses some sun loungers with a trendy market umbrella to keep you shaded. 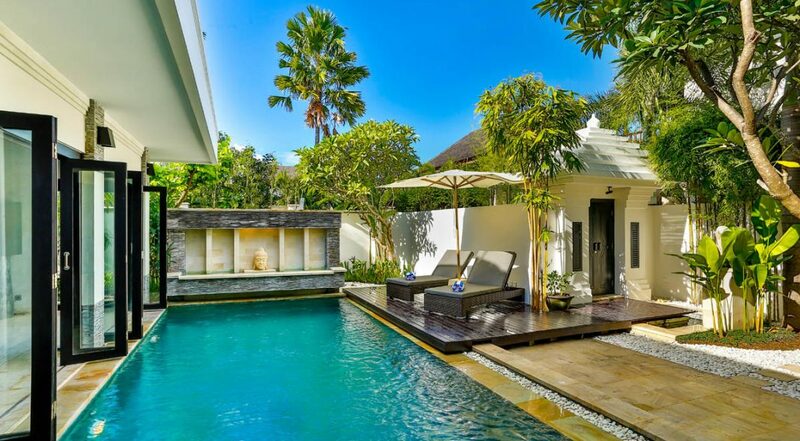 At one end of the pool a waterfall is decorated with a Buddha statue giving an element of Zen. 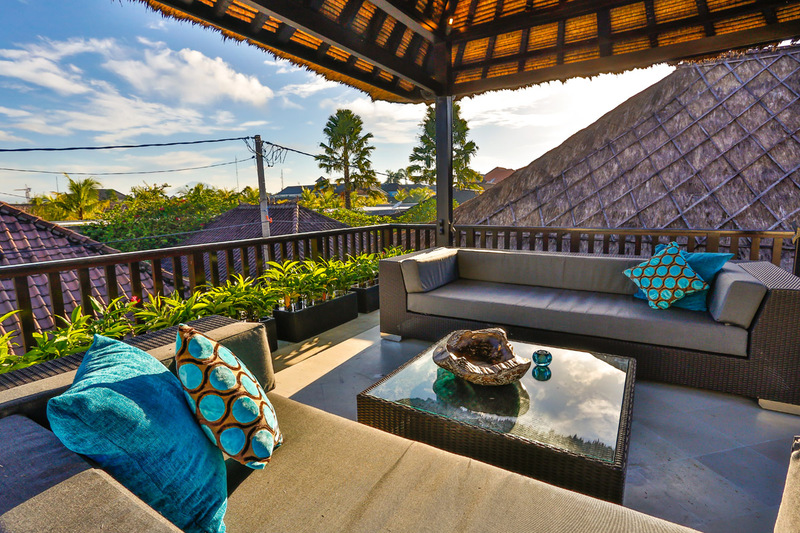 Head upstairs and relax on the rattan sofa on the sunset deck for a few cocktails as the ocean breezes keep you cool. 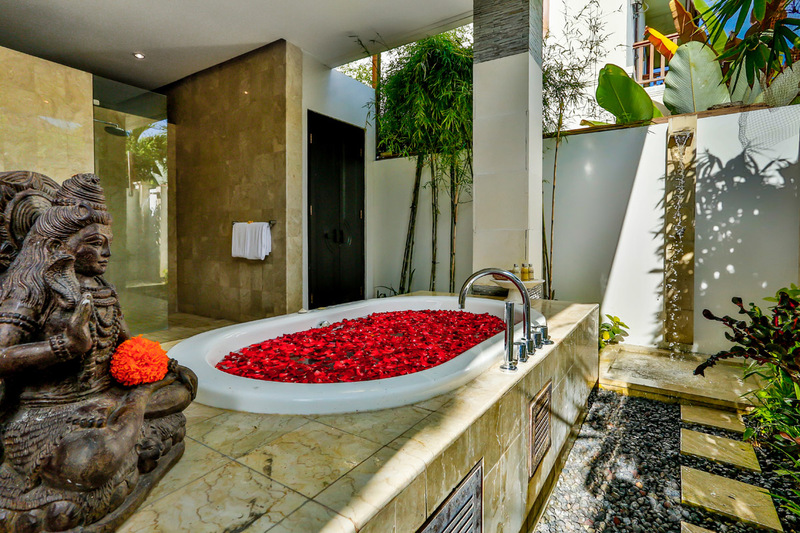 The master suite has a lovely open-air tropical garden and large built in soaking tub and a monsoon shower. 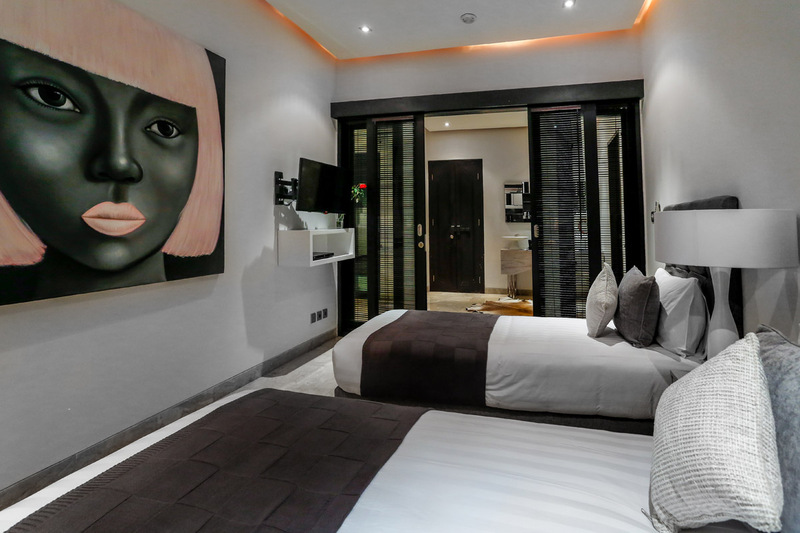 Fully air-conditioned with a king size bed, cable TV, safety box, dressing gowns and slippers the room is ready for you to relax and enjoy. 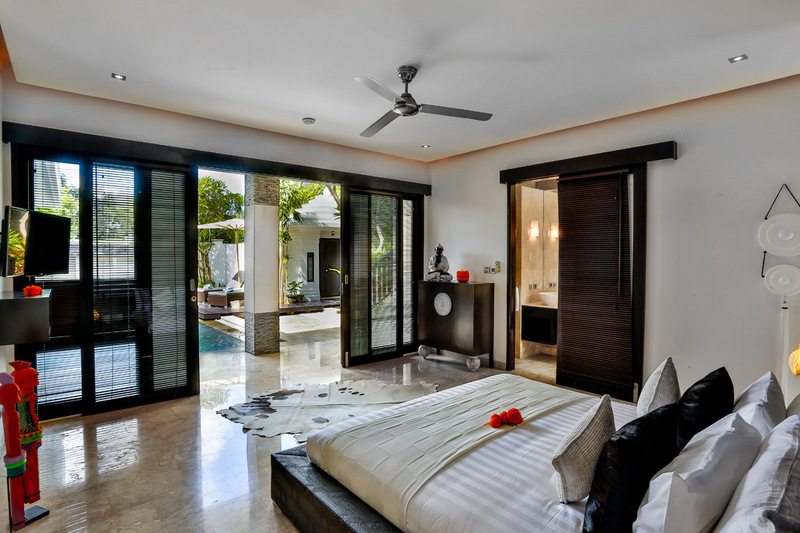 Two guest suites provide a double and twin bed configurations and a shared bathroom and are air-conditioned. 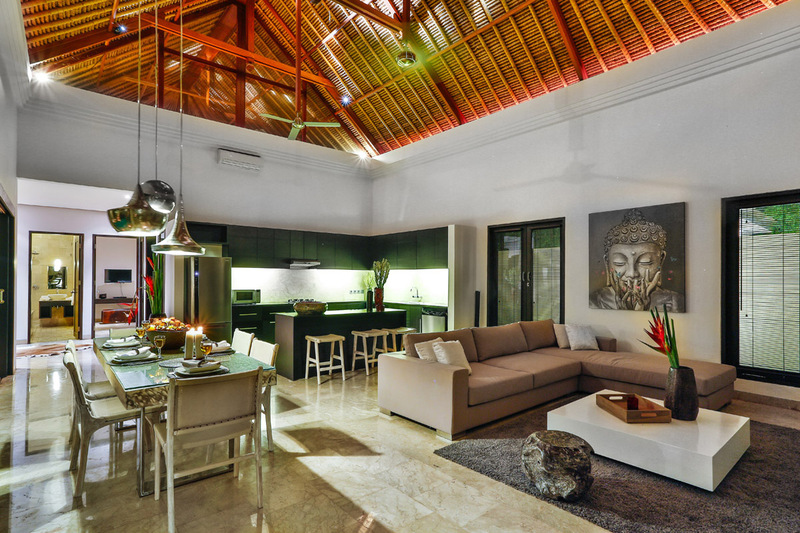 The open plan living area combines a dining area, lounge area and modern kitchen which all open out to the pool and garden. 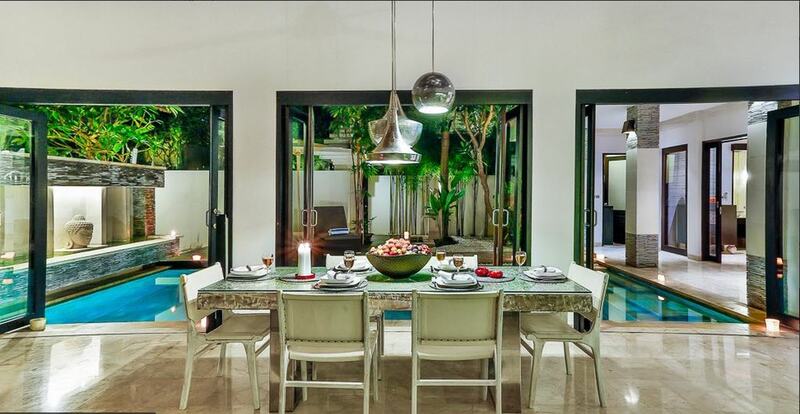 Large bi-folding doors can be opened right next to the timber dining table so you can converse with friends and family who are out by the pool as you enjoy a lunch time snack. 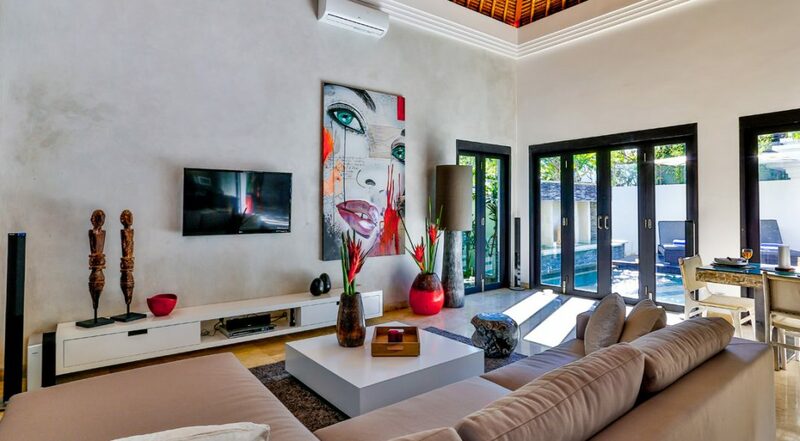 There’s a large L-shaped sofa and big flat-screen for everyone to enjoy some sport or maybe a DVD together. 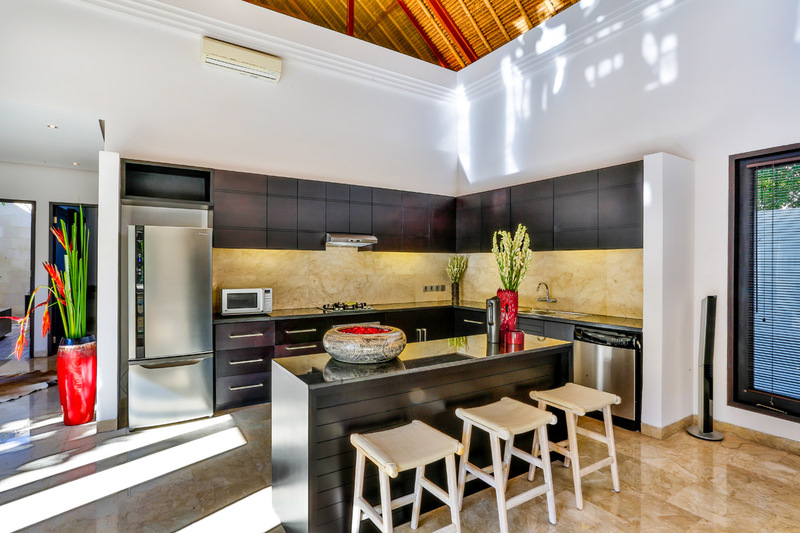 The kitchen is equipped with plenty of appliances should you wish to do a little bit of your own cooking. 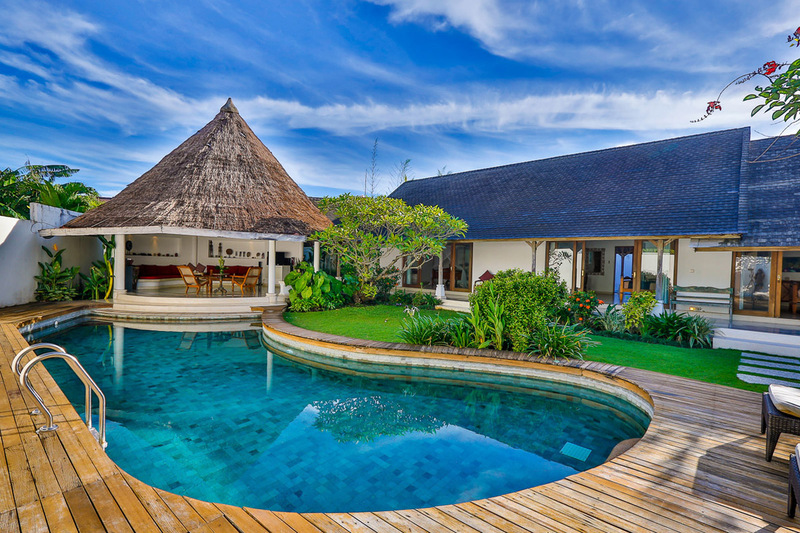 The Residence Villa Estate is managed by a professional holiday group thus the staff is highly trained with plenty of hospitality experience. 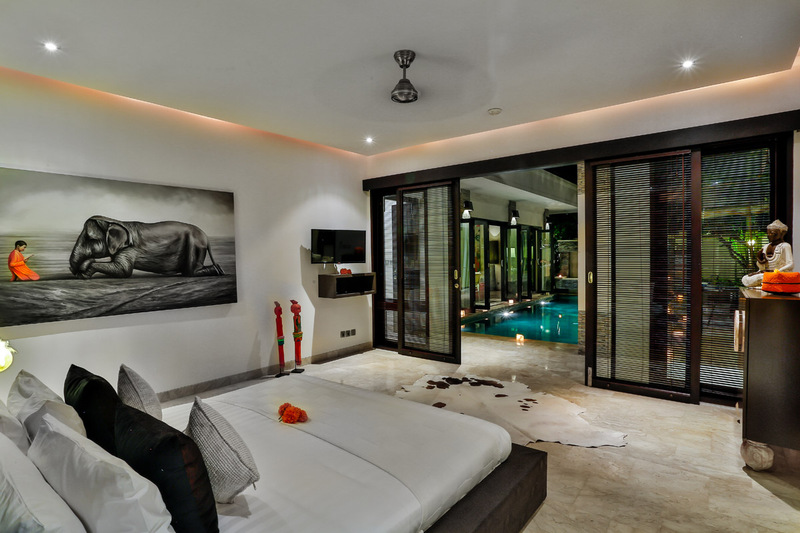 Your villa manager is only ever a phone call away and you will be served by a team of butlers, chefs and housekeeping will clean on a daily basis. Feel free to ask for assistance in booking transportation or maybe booking the services of a baby-sitter. 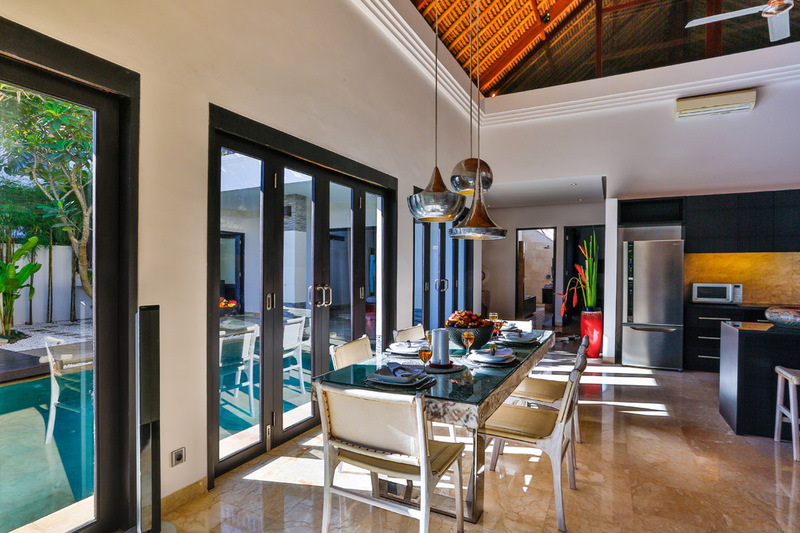 The in-house chef will be more than happy to prepare a special lunch or dinner for you upon request. 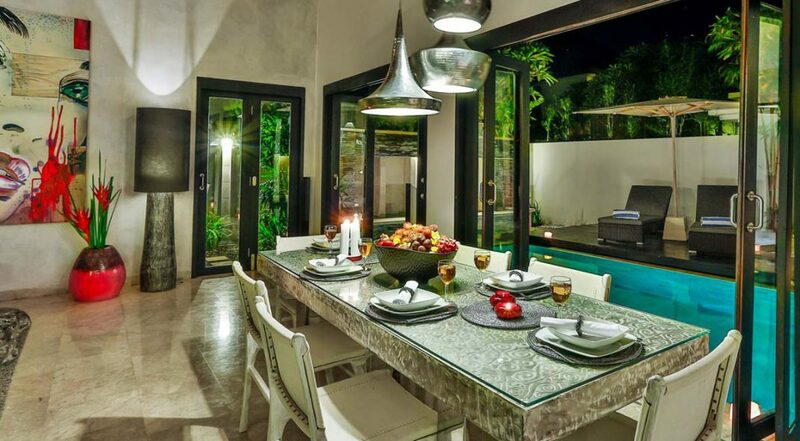 Located just one block back from the excitement of Jalan Oberoi, “Eat Street”, guests can take a leisurely stroll to be within the most happening and exciting part of Seminyak. 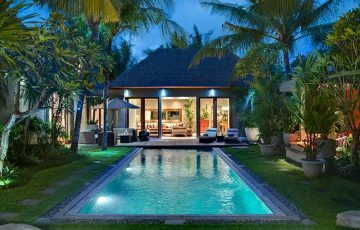 All the chic boutiques, fancy restaurants, amazing day spas, trendy cafes and Seminyak Beach are almost on your doorstep. 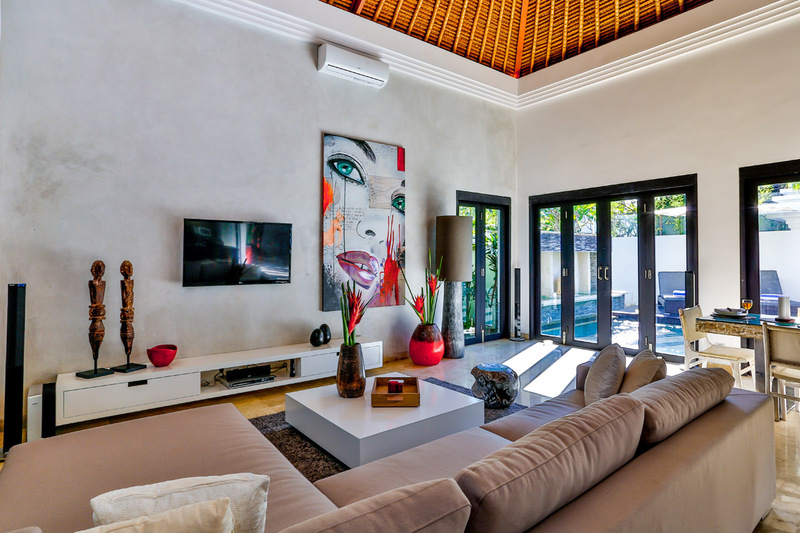 If you love your food, shopping, going out to great bars, hanging in really cool cafes for a morning latte, people watching, taking the kids to the beach or pampering yourself at day spas then Villa Amala is the perfect holiday villa to rent. 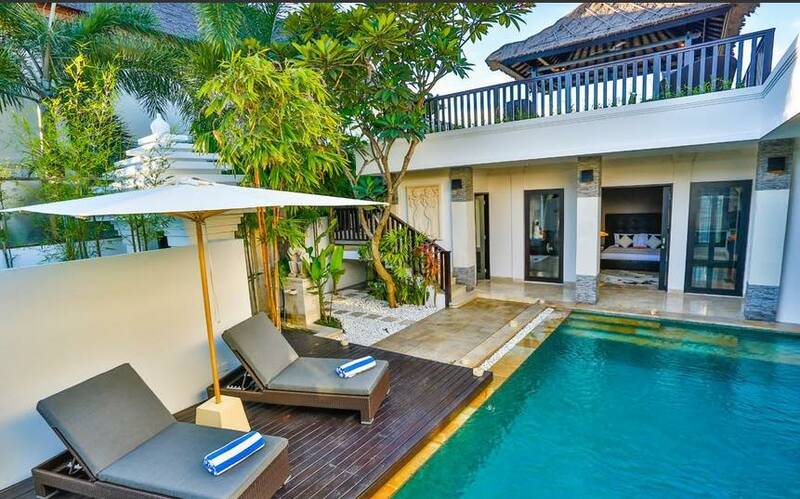 To view other Seminyak villas or our full range of lovely Bali villas to rent near Eat Street or Seminyak Square, please browse this website or contact our reservation team. 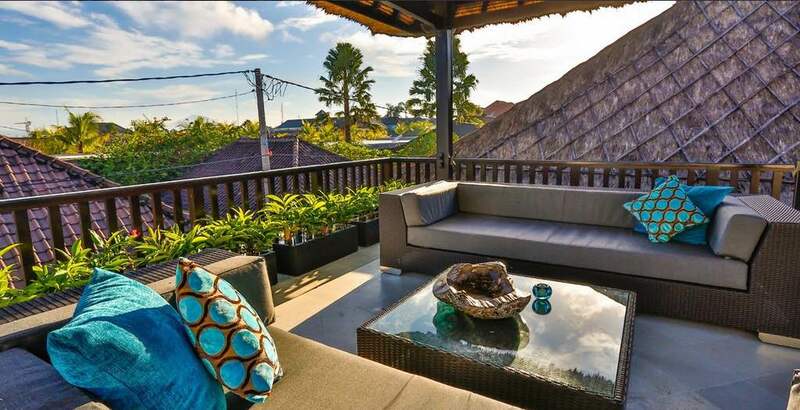 This is a popular Seminyak villa rental so if your planning a trip to Bali, especially during the Australian school or public holidays please book Villa Amala well in advance. 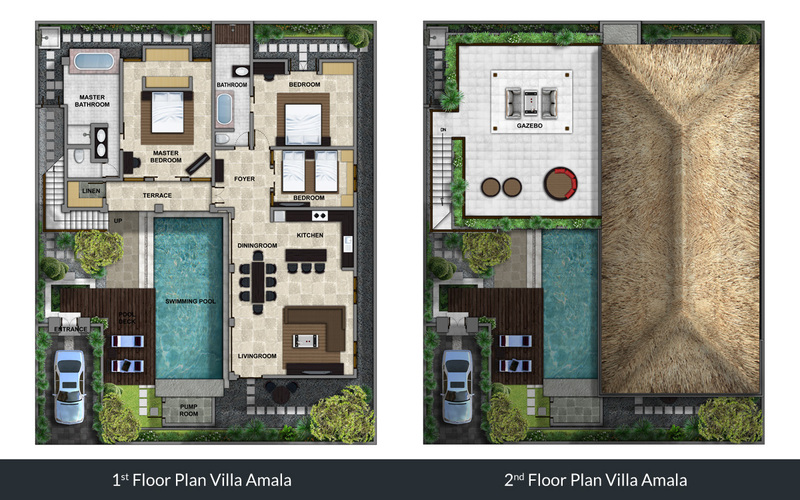 Just a quick note to let you know that our stay at Amala, No. 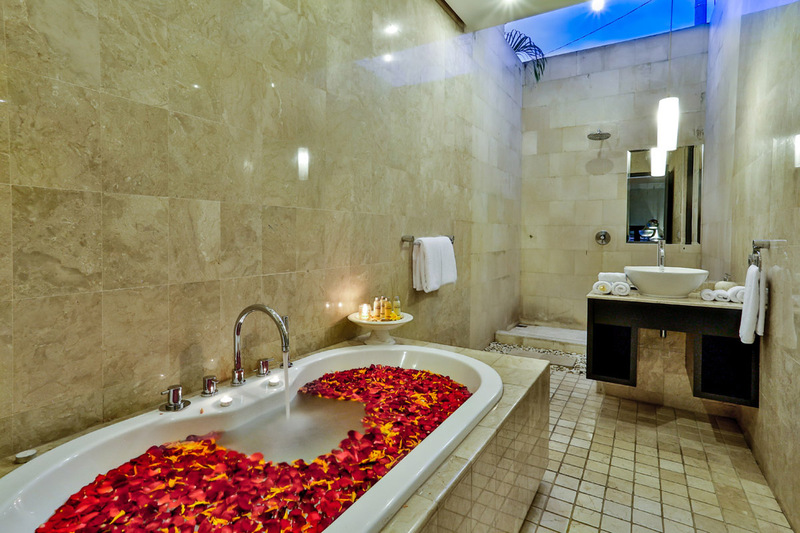 4 at The Residence was fabulous. 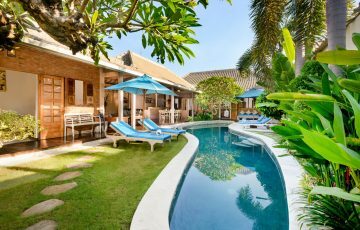 The villa was fantastic as were all the staff, especially Kadek and Yule who did a great job of looking after the four of us for the week. So a big thank you to everyone at The Residence. We are coming back! 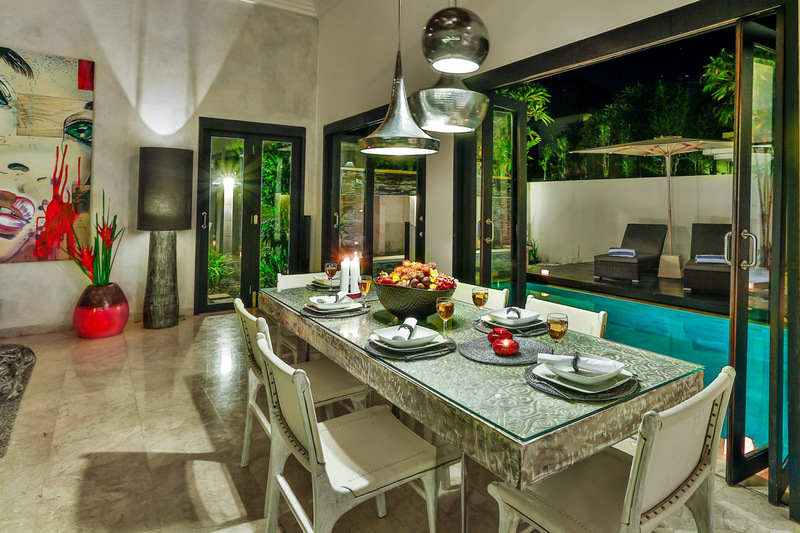 All we can say is WOW - this villa was in such a central location, really close to Eat Street in Seminyak. Loved going to all those restaurants every night. 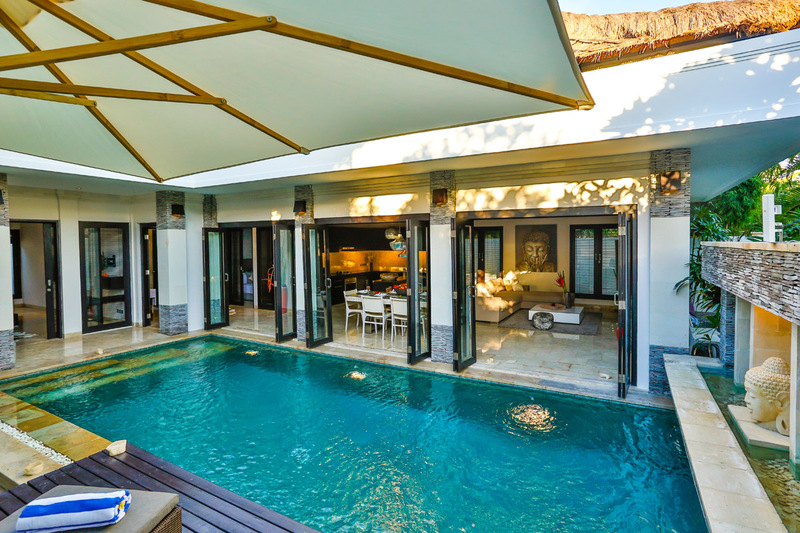 The kids really enjoyed the pool area and we were happy to just relax and enjoy being in total paradise. 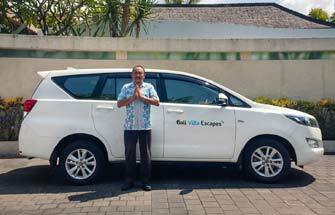 A huge thanks to the team at Bali Villa Escapes (Yayuk and Dewi) for getting this villa for us at such short notice. We are certainly coming back next year. 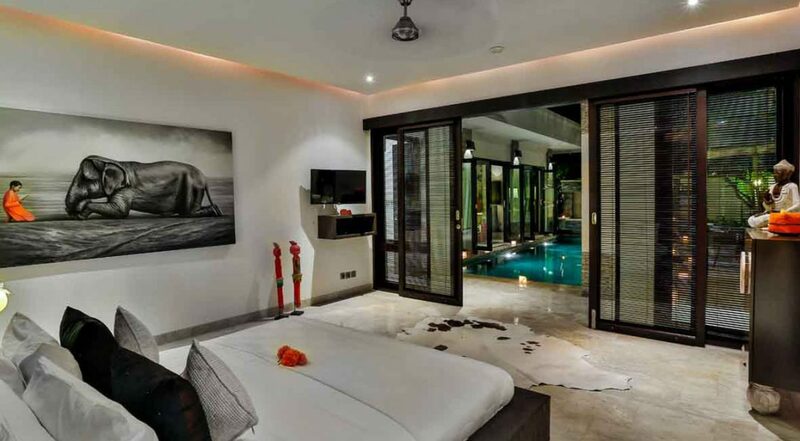 This place was absolutely awesome and a great place for a family holiday. Perfect for our family and in such a great position. 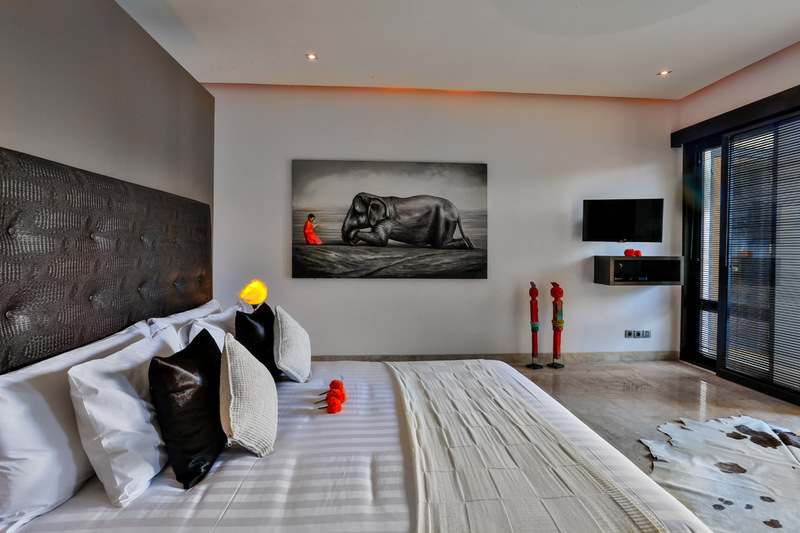 This was our second time staying at Amala and we came back because we loved it so much the first time. 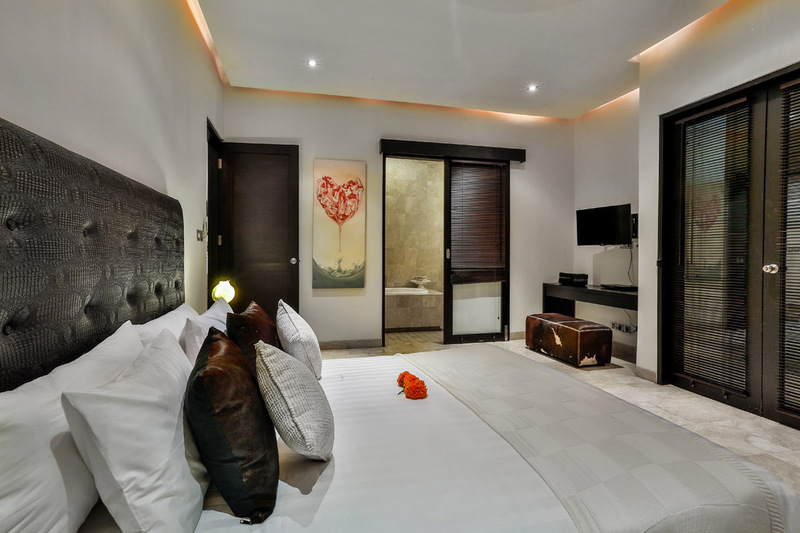 The friendly staff, spacious interiors and great Seminyak location, plus the fact that it was very quiet make this a perfect place for all our future Bali getaways. 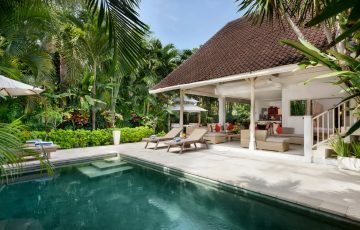 Fabulous villa, friendly staff, security, breakfast, really modern and close to loads of shops - what else could your want? Most happy to give this a great review. 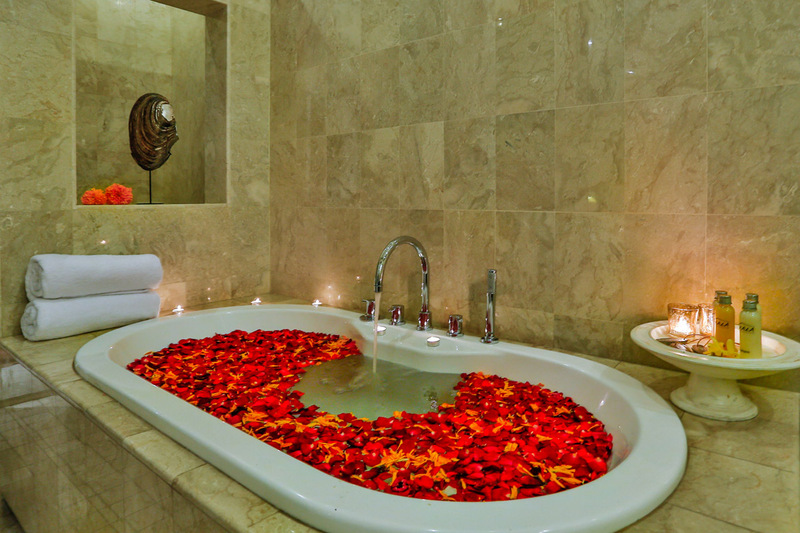 Had such a great holiday here and want thank all the staff at Amala for taking such good care of us.